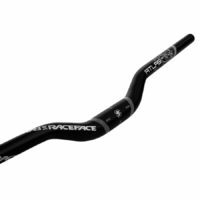 The all new AEffect 35 handlebar (35mm clamp area) is designed to handle all-round trail riding at a XC weight with stiffness and strength at it’s core. 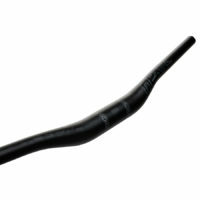 Couple this with their AEffect 35 stem and you’ll have a stiff and lightweight front-end. A slightly modified profile gives these trail bars the extra boost you’re looking for at high speeds. Built for tearing your favourite trail. 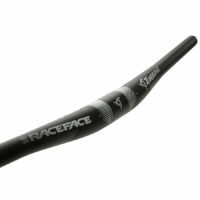 Fast.Generous 780mm width to give you the stance and control you need. This is a no nonsense, set and forget bar that is equally at home on your trail bike as it is on an enduro machine.Take your bike to the Rally level without breaking the bank. Designed with the gravity driven rider in mind, the Atlas 1¼” riser bar sets the standard. 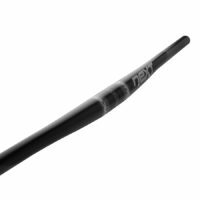 At 785mm, this is a wide bar that gives you new levels of control on technical terrain. Perfect for intense AM or full on DH Race, the Atlas bar is also available in an exciting range of anodized colours for full customization options. Manufactured from cold drawn, seamless 7050-T76 aluminum. 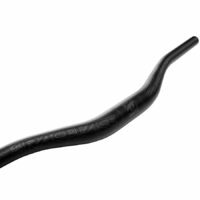 Internal taper increases strength and durability without adding weight. Ultra wide riser geometry helps the modern rider with precise control and confidence at speed. Your favorite bars just got bigger, wider, and lighter, Go figure? The magic of 35, believe the hype! 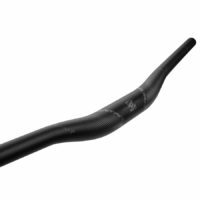 Increasing the bar diameter to 35 allows us to shave material from the bar resulting in a dramatic reduction in overall weight while retaining the proven stiffness, strength and performance Race Face bars are known for. A wider rise range to perfectly tune your fit. From ultra low 10mm rise to super high 35mm rise – Our lowest and highest rises yet, with the much loved 20mm rise rounding out the 3 rise options. The ATLAS 35 bar also expands to a 800mm width (Can be trimmed down to 750mm) for hyperspeed control, can you handle it? Designed with the gravity driven rider in mind, the Atlas ½” riser bar sets the standard. 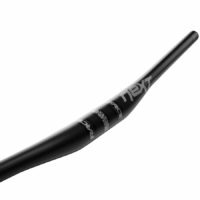 At 785mm, this is a wide bar that gives you new levels of control on technical terrain. Perfect for intense AM or full on DH Race, the Atlas bar is also available in an exciting range of anodized colours for full customization options. 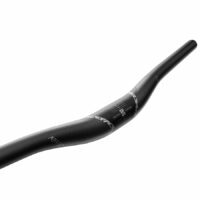 Reinforced stem anti-crush zone minimizes the possibility of stress risers where the stem meets bar — the area in which most carbon bars fail.Constructed from a high strength unidirectional weave. Race Face set an industry benchmark with the its Sixc product group – light and strong carbon DH rated crank and bar. Building on the unprecedented success of our proprietary Carbon Technology program, SIXC re writes the rules in the 6-8 inch travel bike world. SIXC (the C is silent, eh!) represents the culmination of years of Race Face engineering in both carbon and all mountain products. Race Face has created a bar for the aggressive rider who demands the ultimate in performance. Strong enough for DH, yet light enough to not hold you back on the pedal up to that new trail you have been hearing so much about, SIXC blows up the limits of carbon performance. Wider than Turbine and still sporting an aggressive sweep design, Turbine R puts you in the perfect riding position for big days on the bike. 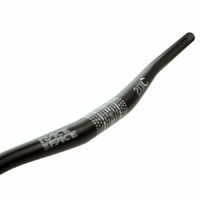 These bars come in a variety of rises to allow you to ne tune your cockpit and dial in your setup. Tried and true 7075 aluminum gives you the con dence for aggressive all-mountain riding and 35mm tech for fantastic overall weight/strength ratio.